Well, if you’ve got adult ADD/ADHD it’s not surprising that you’ve got money stress, since the symptoms of your disorder almost certainly affect your ability to manage your cash. Unfortunately, though your ADHD may cause irresponsible spending…your creditors probably don’t care to hear excuses and the problems you’re left with are yours to deal with - no matter how you earned them. Fortunately, though your ADD/ADHD may complicate money management, you can learn skills and tricks to compensate for your disorder and you can retake control of your financial health. ADD/ADHD can create a number of money leaking behaviors, but one of the commonest is impulsive spending, which is hardly surprising when you consider that poor impulse control is a hallmark characteristic of your disorder. Do you buy things you don’t need on a whim? Is your house full of unused items that seemed like a good idea at the moment of purchase? If so, read on to learn 9 great tips and tricks you can use to curb your impulsive spending habits. When contemplating a major purchase, take some time to call a friend or family member – someone who knows how you struggle with impulse spending – to ask whether or not you’re making a reasonable decision. Go shopping without any cash, ATM or credit cards. If you see something you want, go home and sleep on the decision for a night. If you still want or need it the next day, return to the store to buy it. Anything you can do to put some time between impulse and action is going to help keep you from bad decisions. Write down what you’re buying and how much you’ve spent over the course of a day. It may start adding up to more than you can afford, and having this reminder of how much you’ve already spent may help you to resist the impulse to buy more. Avoid using credit cards whenever possible. 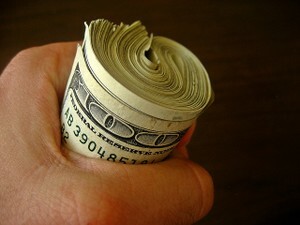 Paying for things in cash helps to reinforce the consequences of the action. If impulse spending causes you problems, shopping as a hobby or social event probably doesn’t serve your best interests. Instead of meeting friends at the mall, suggest a park or restaurant instead.